WOW  WHAT A WEEKEND! 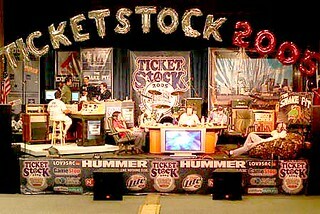 GALTs Greyhounds were a hit with all the P1s and Ticket Guys at this years Hummer Ticketstock 2005 ! It was one of the most attended Ticketstocks EVER! Could it be all those folks coming to see GALTs greyhounds? Well, see for yourself! Thanks to GALTs constant promoter and fan, Bob Sturm, Dan McDowell, Craig Miller, George Dunham, Norm Hitzges, Greg Williams and Mike Rhyner for spending their time with some of GALTs greyhounds! 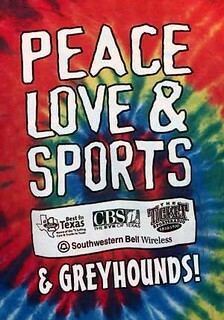 This year's Ticketstock was another huge and enjoyable weekend of Peace, Love, Sports & GREYHOUNDS!